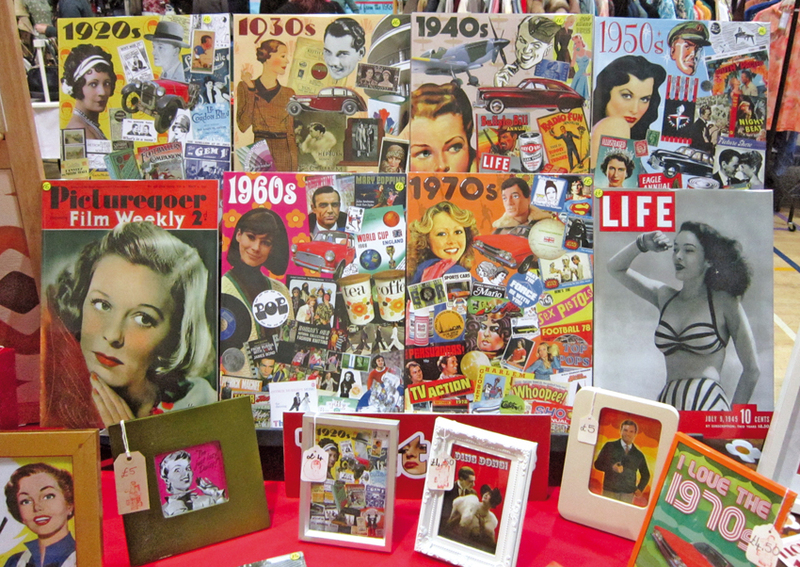 This Saturday I will be at the JUBILEE JAMBOREE at Benfleet Garden and Reclamation Centre!!! 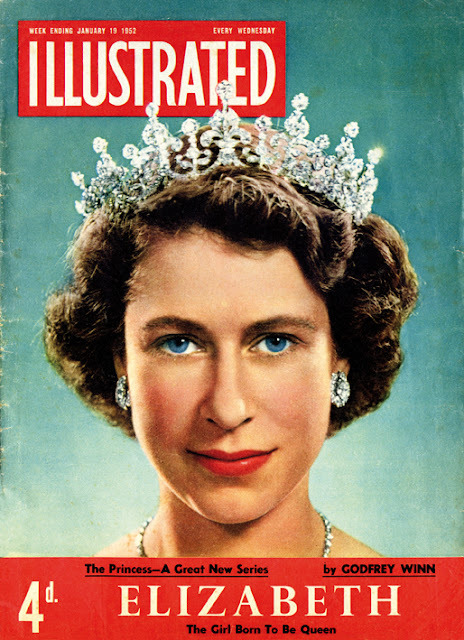 Come along to this Jubilee themed extravaganza for vintage and handmade stalls, a vintage tearoom, BBQ, Jubilee tree planting and face painting and games for the kids (or adults!). All set in a wonderful garden centre and absolutely FREE to get in!! Kick off is at 10am until 5pm and here is the address in case you get lost! I'll have this super pic of Her Maj at the fair! Had a fantastic time last Saturday at the FASHION & ARTS FAIR held at the Eco Hub! 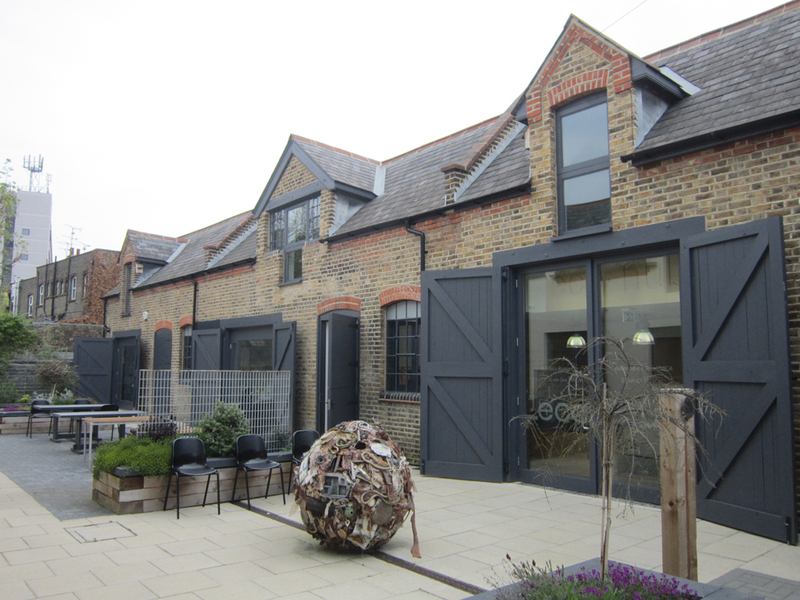 And what a great venue, the lovely renovated Victorian stables are now super modern, eco-friendly business premises. Special thanks to Amy George for tirelessly organising a great day, and also her army of leaflet and poster distributers! I was nestled amongst some very talented people on the day. So was a great experience to be part of such an event. 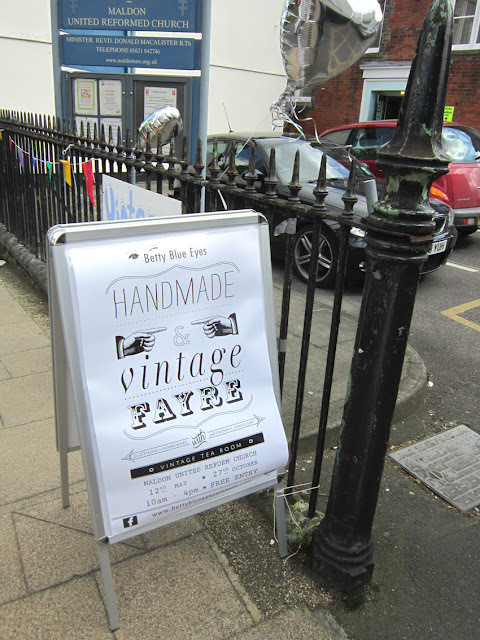 Amazing accessories, photography, knitwear, delicious cupcakes and a great range of vintage clothes all on offer. 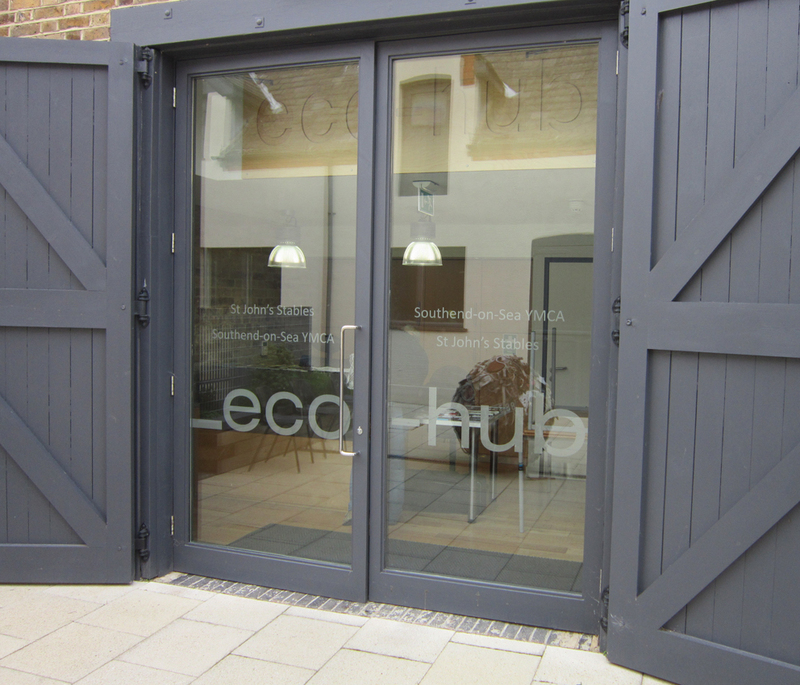 Here is the Eco Hub! Nice and stylish attention to detail on the building. The stable doors are now a modern, sleek grey. 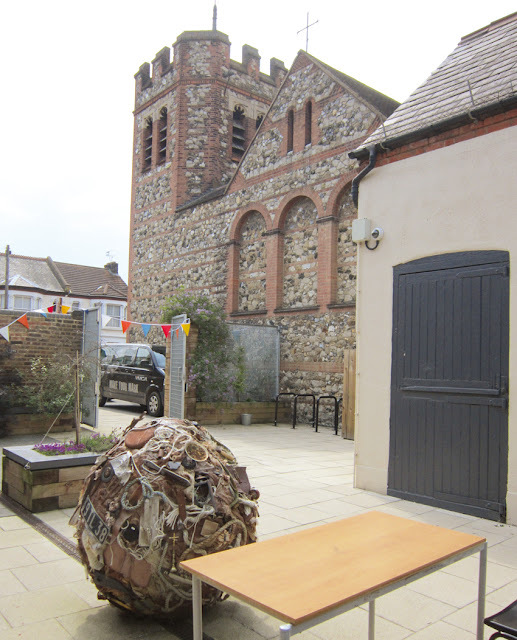 The Eco Hub is tucked away next to a church, check out the sculpture as well (not the table!). 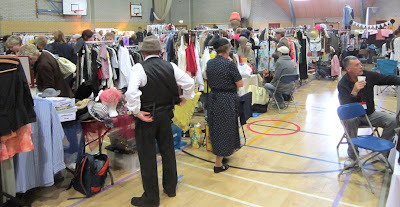 Here was my stand for the day, lots of vintage inspired bargains! 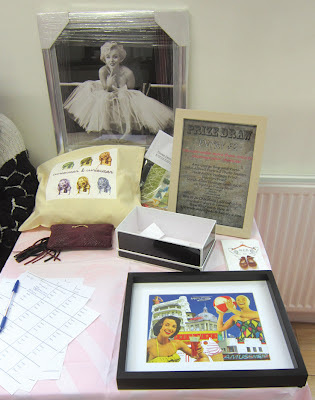 This was the Prize Draw prizes, wow, who did that Beach Babe picture??! HUBBUB AT THE ECO HUB! I'll be at the FASHION & ARTS FAIR at the Eco Hub in Westcliff-on-Sea this Saturday! Eco Hub is a top notch business centre housed in fantastic renovated Victorian stables, so this is a unique event held in a unique location! 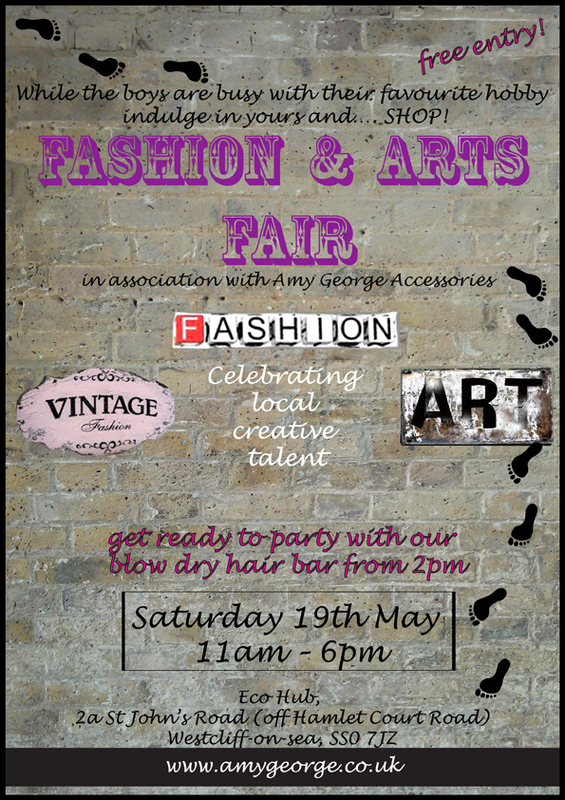 Organised by local artist Amy George, there will be a host of latest fashions, vintage fashions and art to see. There is even a Blow Dry Hair Bar!!! Kick off is at 11am and finishes up at 6pm, admission is absolutely FREE!!!! A Google Map search may be required! 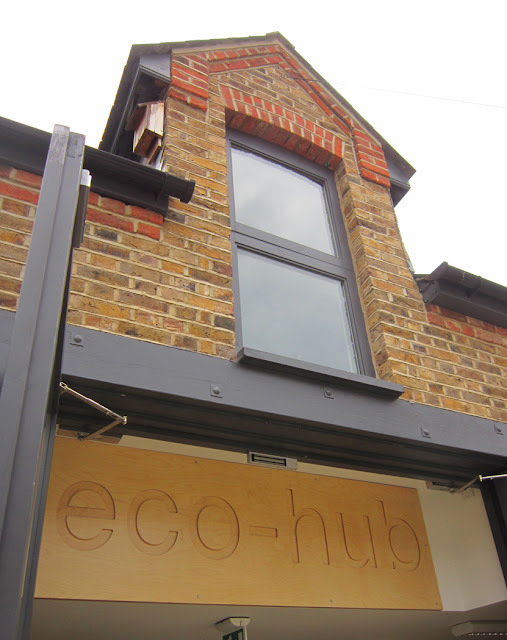 St John's Road is off Milton Road, where the Cricketers pub is, and Eco Hub is next to the St Alban the Martyr church! Had a fantastic time yesterday at the BETTY BLUE EYES HANDMADE & VINTAGE FAYRE in Maldon! It was extra exciting as it was the first ever BETTY BLUE EYES event in the marvellous town of Maldon. Held in a beautiful Victorian church hall just off the High Street, I had a lovely space to display my work. And the sun shone all day!!! 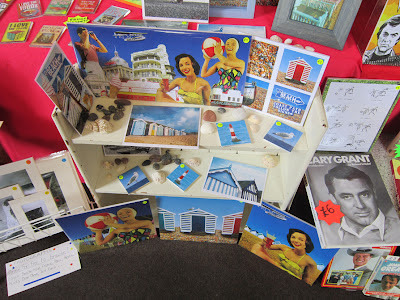 Perfect weather then to show off my SEASIDE SPECIALS pictures and cards! As always my RETRO FOOTBALL range caused quite a buzz and I even met the niece of a rather famous ex-football manager! Very pleased my brand new fridge magnets proved popular as well. I'll be producing even more of these in the future, so keep a look out! Was a brilliant day all round and thanks to the good folk of Maldon for popping in and saying hello! I now can't wait for the next visit there! The fantastic poster for the fair! 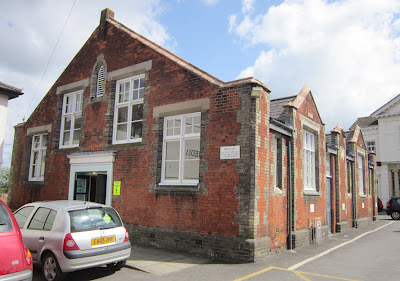 The lovely Victorian hall at Maldon. 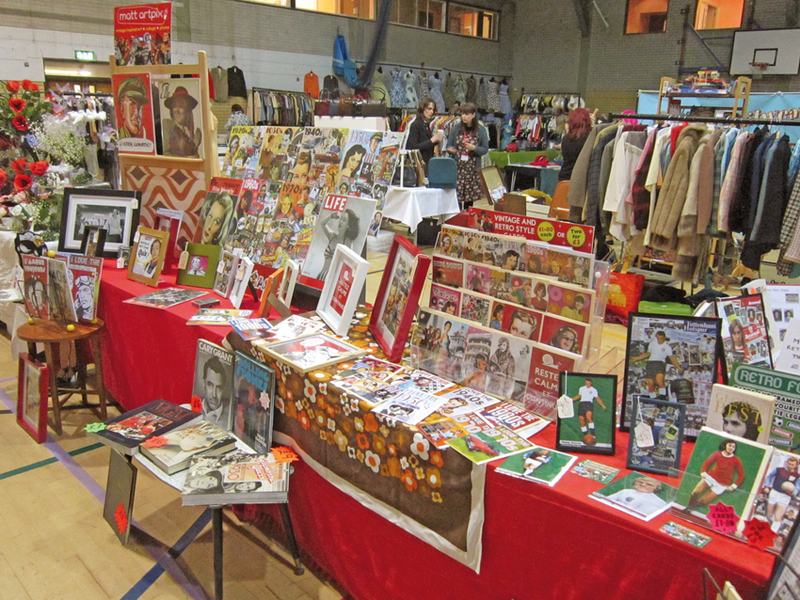 My packed stall, with lots of goodies! 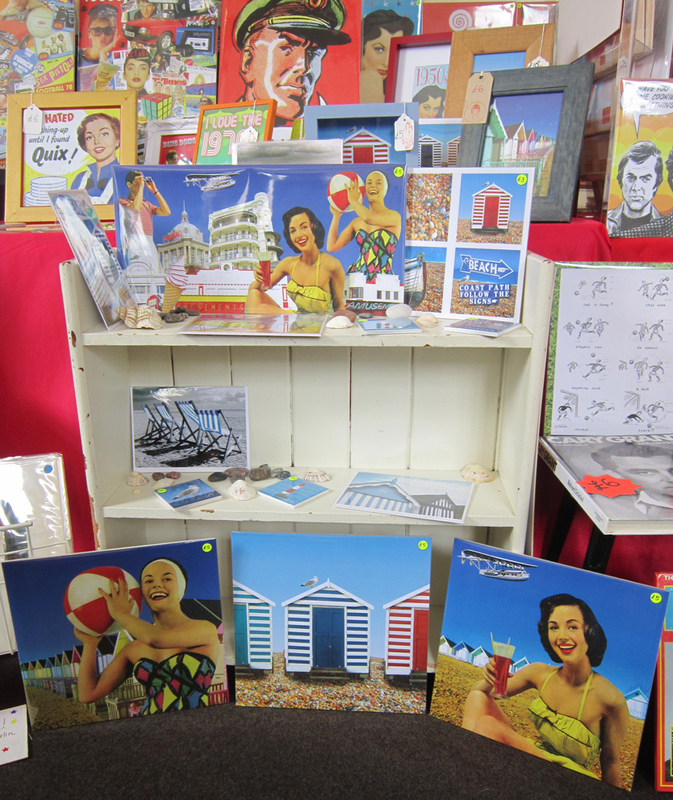 The Seaside Specials on display! Another view, as a curious Cary looks on! 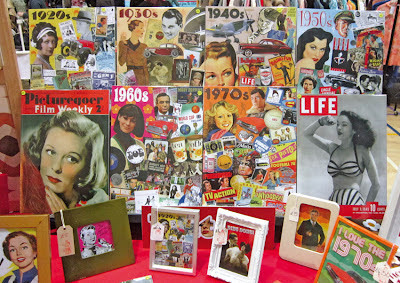 This Saturday I'll be at the BETTY BLUE EYES HANDMADE & VINTAGE FAYRE in Maldon, Essex! 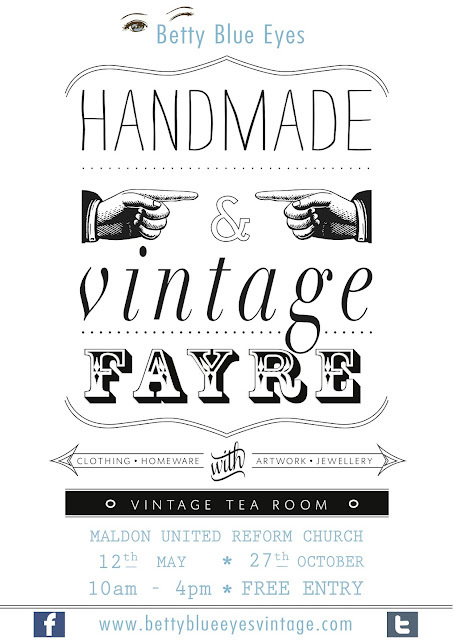 You will find me in the Maldon United Reform Church just off the High Street. Kick off is at 10am until 4pm and admission is absolutely FREE!! Can't wait for this new fair in the lovely town of Maldon. 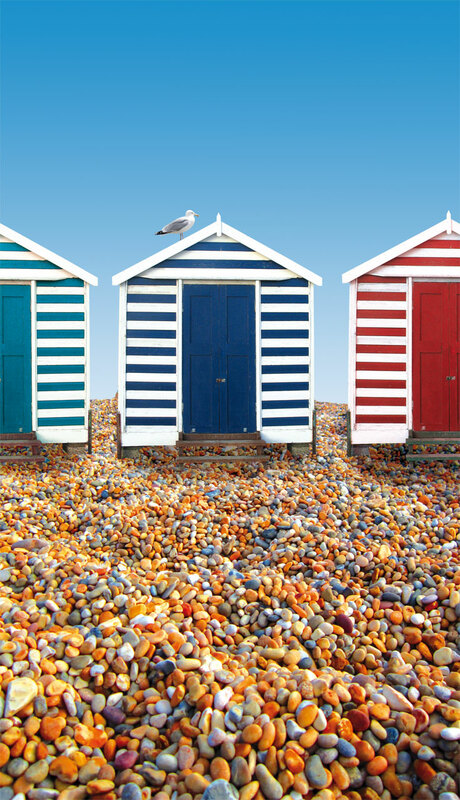 I'll have with me for the first time this year, my very popular SEASIDE SPECIALS range. Including my beach huts pictures and my ALL NEW Beach Babes collages!! Also, a sneak preview of my new FRIDGE MAGNETS, so check out those as well! After my recent super success at Vintage Vogue, I've been making all sorts of new stock, plenty for everyone to browse through!! There has been a fantastic advertising campaign by organiser Anna Cooper for this event, even appearing on local radio station Saint FM. So no excuses for not coming along to marvellous Maldon this Saturday for some vintage fun! The fabulous poster for the fair! 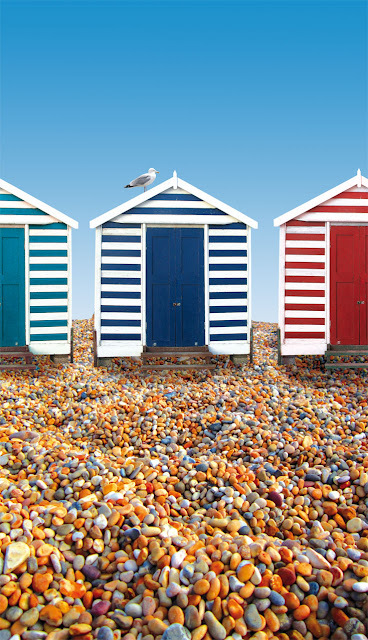 Some of the beach huts from the SEASIDE SPECIALS! 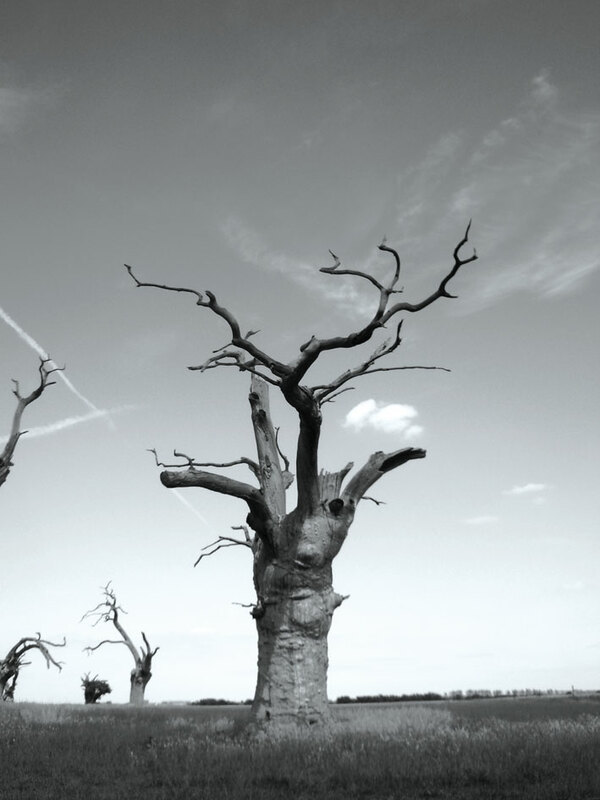 The stunning Petrified Oak Trees in Mundon... Near Maldon! After filling the car up at 7-30am in torrential rain, we arrived at Brentwood in slightly lighter rain! 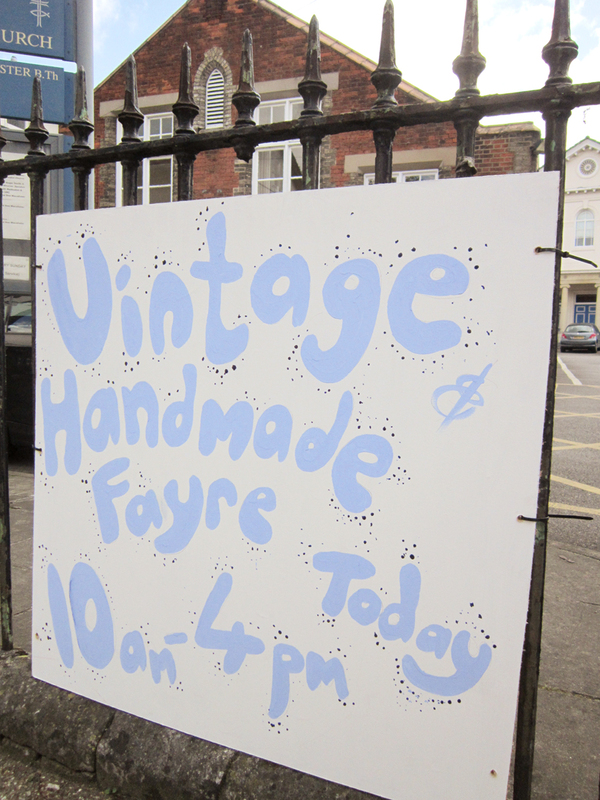 But it didn't dampen anyone's spirits as we set up in record time for once!! And despite the awful weather, the crowds came flowing in straight away! From the off the punters were buying, and to my amazement I was quickly selling out of certain cards. 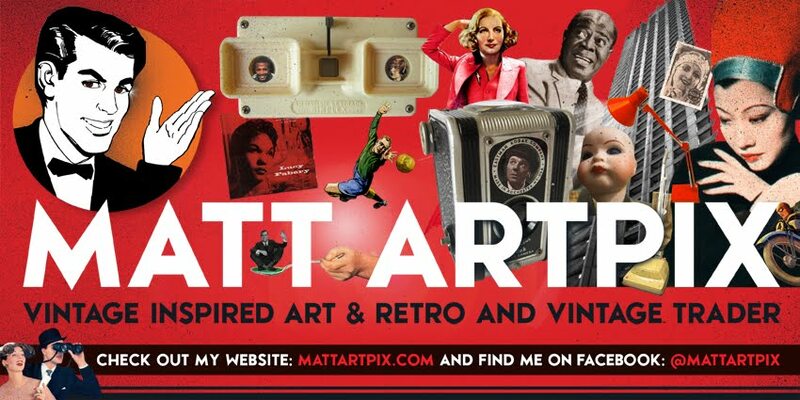 Nice to see people were buying all sorts of different things from me, from framed pictures, foamboards, cards, books to comics. Something for everyone!! 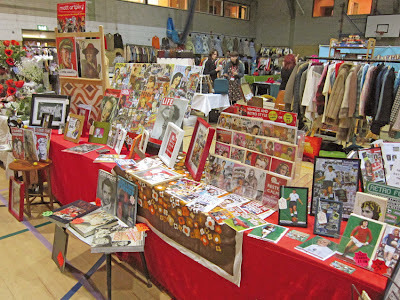 Had a wander around all the other stalls and saw some brilliant things to buy. 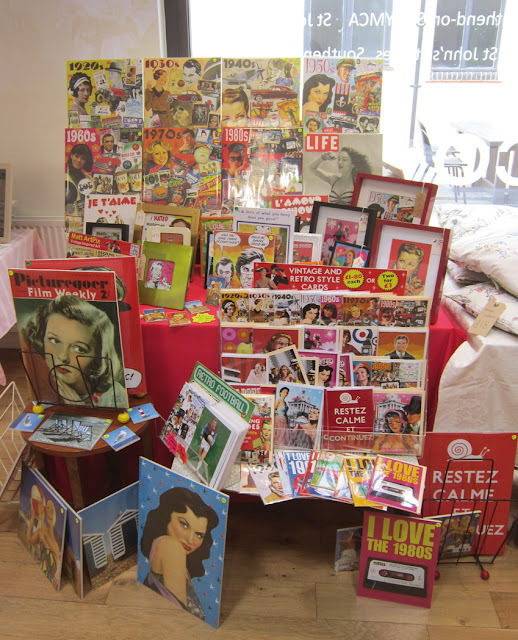 A real mixture of items, top notch vintage clothes, framed Vogue magazine covers, knitted 50s tops, kitchen and homeware and jewellery. VINTAGE VOGUE has always had a very special atmosphere, and the music played there really helps that. 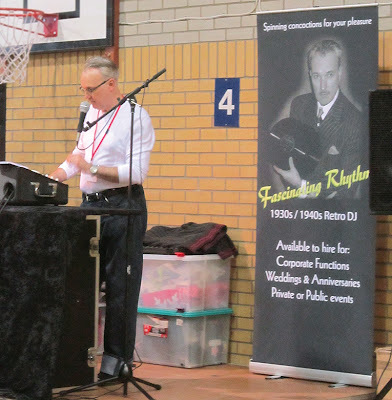 The tunes spun by Stephen were spot on as usual, and really made the day swing along very nicely. And Stephen's music quiz questions kept us amused throughout the day! Thanks to everyone who braved the April showers to come along and make it a brilliant day. Special thanks to the organisers Michele and Stephen for their amazing dedication and professionalism and for their enthusiam. 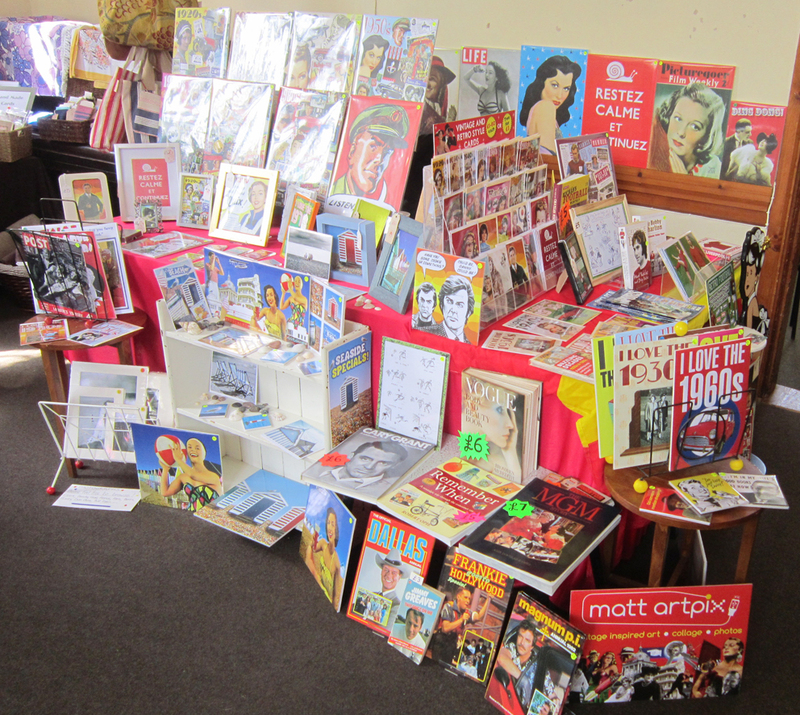 Yet another packed stall, don't you just love that 70s tablecloth! My new foamboard stand made its début, displaying the Dazzling Decades! A glimpse at the packed venue in Brentwood.